I was invited by my brother and his caretakers at the Westport Health Care Center to hear Christmas songs by Jose Feliciano tonight. Jose Feliciano lives in nearby Weston and he graciously took the time to perform for everyone. 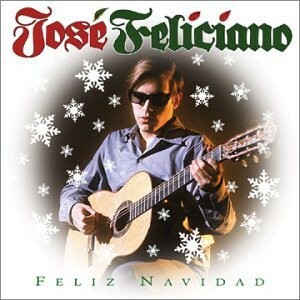 It made the Christmas season joyous to witness Jose Feliciano sing Feliz Navidad in such an intimate setting. Jose was joined by several other staff members, friends and their spouses to form a Christmas musical ensemble. It was very moving to know Jose Feliciano and friends cared to take the time to spread holiday cheer with people confined to a nursing home.